Year: 2011 (re-issue from 2004). 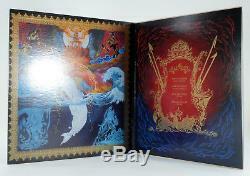 Sleeve Condition: Near Mint (custom gatefold sleeve). 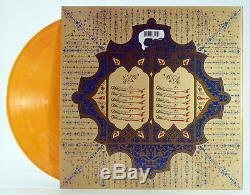 Comments: Limited Edition re-issue on orange marble opaque vinyl. 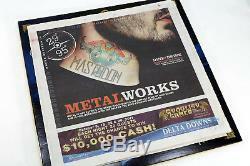 Pressing of this album (2011) and was limited to 1,364 copies. 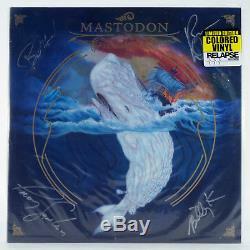 Album was signed at Cactus Records in Houston (October 27, 2011), a few hours before the Mastodon show at Fitzgeralds. Included is a copy of a local Houston magazine that features and interview with the band and confirms the dates at Cactus / Fitzgeralds. 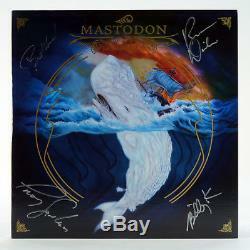 The cover sleeve is signed with a silver marker and has the signatures of Troy Sanders, Bill Kelliher, Brent Hinds and Brann Dailor. Thanks for checking out our listings and while you're at it, please take a look at our store for more cool collectibles. We sell unique, one-of-a-kind press & media collections, photos, autographed memorabilia, books & magazines and so much more. Looking for anything or anyone in particular? If you are unsure about a description of an item, please ask. 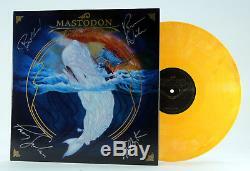 The item "Mastodon Leviathan Autographed Ltd. LP Orange Vinyl" is in sale since Sunday, May 20, 2018. This item is in the category "Music\Records". The seller is "fiere" and is located in Houston, Texas.